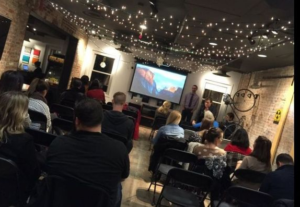 I want to thank everyone who came out to the SEO DMV Meetup last night. I wanted to give you some additional follow-ups and resources that I mentioned in the presentation and to folks afterwards. Here is a PDF version of the presentation (with egregious grammar error corrected). My own blog post on why Session Duration is the worst metric ever. My second blog post on why Session Duration is the worst metric ever (because one is not enough). LunaMetrics Guide to Regular Expressions for Google Analytics (PDF). LunaMetrics Washington, D.C. Training Schedule. Block Yourself from Analytics Chrome Extension. LunaMetrics Basic Filters for Google Analytics. Annielytics: How to Customize Your Default Channel Groupings. OptimizeSmart: The Geek’s Guide to Removing Referrer Spam.